Two-thirds of American adults get at least some of their news from social media, even though many are skeptical about the accuracy of that information, a survey showed Monday. 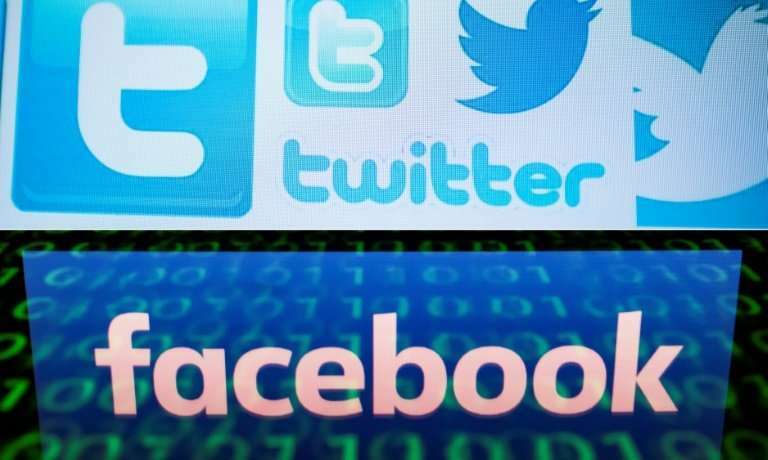 The Pew Research Center report found 68 percent said they used social networks for news, with 20 percent saying they got information "often" from those services including Facebook and Twitter. The percentages were largely unchanged from a year ago despite heightened scrutiny over misinformation and manipulation of online platforms, including by foreign actors. More than half of those surveyed—57 percent—said they expect the news they see on social media to be "largely inaccurate," according to Pew. Still, most respondents said getting news this way has made little difference in their understanding of current events—36 percent said it helped their understanding of current events while 15 percent said it made them "more confused." The survey comes with social networks under intense scrutiny as they become more important "gatekeepers" of news, with President Donald Trump and his allies recently accusing tech firms of political bias. In the Pew survey, only 11 percent of respondents said news on social media was "too biased" while 10 percent said the information was "low quality." Concerns about accuracy were more prevalent among Republicans, with 72 percent expressing this concern, compared with 46 percent of Democrats and 52 percent of independents. An estimated 67 percent of Facebook's users get news there, as do 71 percent of Twitter users and 73 percent of Reddit users. But because Facebook's overall user base is much larger, far more Americans overall get news on Facebook than on other sites. Smaller percentages get news from other online platforms such as YouTube, Tumblr, Instagram, LinkedIn, Snapchat and WhatsApp, according to the report. Pew surveyed 4,581 US adults between July 30 and August 12, with an estimated margin of error for the full sample of 2.5 percentage points.